Cosmo on Twitter as a social media experiment. Now, Diane and Cosmo use social media to help raise funds and awareness for animal rescue as well as to share stories about the bond between pets and owners and the adventures they can discover together. Diane works with companies in the home improvement, interior design, travel, pet, automotive and food and beverage industries and she believes a house is not home without a dog. Her clients have included companies such as The Home Depot, Lowe’s, 3M, DuPont, Ford Motor Company, The Coca-Cola Company, InterContinental Hotels Group, Xerox and the Coors Brewing Company. Diane began her career as a sportswriter and is a graduate of the University of Michigan with a degree in Journalism. Cosmo lost his four-month battle with cancer in December 2012. He is greatly missed, but his spirit remains in our hearts forever. 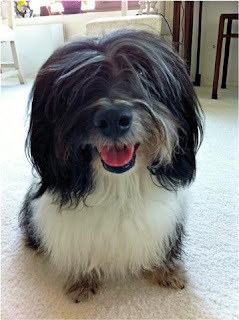 Cosmo Havanese is an agility dog, world traveler and the muse behind To Dog With Love. Cosmo's passions include bone chewing, treat eating, zooming, squirrel chasing and backyard cat management. Cosmo began his career as a conformation pup, but soon discovered he enjoyed the rough and tumble sports arena better. While his primary focus is agility, Cosmo also dabbles in lure coursing and sheep herding. In his leisure time, he enjoys visiting dog-friendly restaurants, parks and shops with Diane. Also a seasoned traveler, Cosmo has traveled many times across the United States as well as to Italy on two occasions. He enjoys sharing stories about his travel on this blog and looks forward to more trips, treats and toys in years to come. Despite all his adventures and travels, Cosmo knows there's no place like home and finds his backyard in Atlanta, Ga.
NIce meeting you the other day! Cosmo is a cutie... ! Here's to all of us learning to convey our gifts (and our pups' gifts!) through the lens! Great blog! Wish I'd met Cosmo. My 13-y.o. 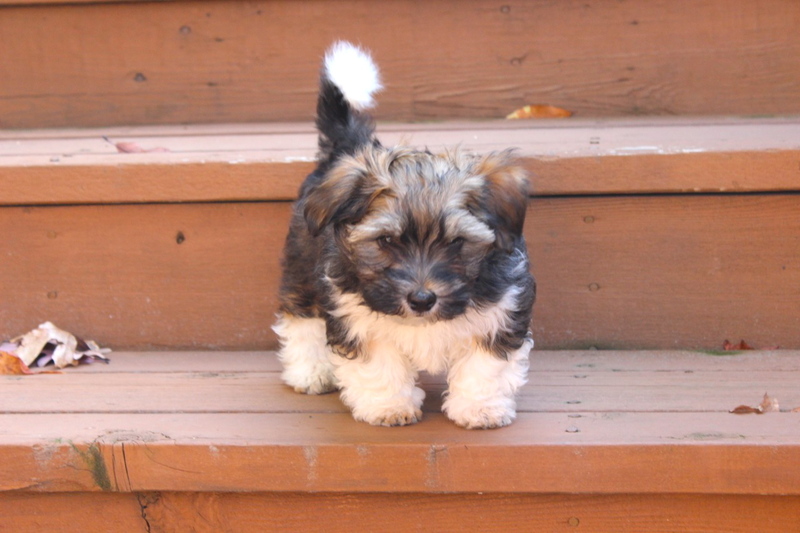 Havanese, Darrow, was just diagnosed with cancer. A large tumor removed from his throat came up malignant. He's had lots of health problems in the past (thyroid) and is not the healthiest dog. How sick is the chemo going to make him? Is it painful or awful? Just trying to figure things out for my best bud. Thank you for your helpful tips; and I was so sorry to learn of Cosmo's passing. We are getting ready to take our two Havanese - black & white sisters named Thelma and Louise on a long flight - they are such wonderful creatures and we wanted to be sure they was as uncomfortable and unstressed as possible. You tips were just the ticket. Hi Diane, I nominated you and Rocco for a Super Sweet Blogger Award and a Versatile Blogger Award. You can read more about them here: http://champersandstail.blogspot.com/2013/06/thank-you-everyone-this-newbie-is-sweet.html ! Hi Diane, Cosmo, Rocco.. keep up with the good work. Beautiful pearly whites Rocco! We love brushing and our dental chews are one of our favorite daily treats. The article you have shared here very awesome information thanks for sharing with us. Wow! It is really so useful and so knowledgeable post. Thanks for share. Keep Posting, Great work. I'm also a dog lover, i have three at my home and i love them. appreciate your work towards this. Please keep up good work. My friends from Chennai escorts also love love this post. On this site a lot of interesting and useful information. And useful information on this subject. So cute...i love this blog because i like dogi..So thanks for sharing a beautiful blog. kolkatamodelgirls your Search shuts here if you are chasing down after down one of the ideal, propping and talented Belharia Escorts I am here with my staggering commitments to on an amazingly essential measurement satisfy your very own exceptional rise one of kind necessities. I read your bio and like me, I am also inspired by my 2 Red Dogs. They are Robert Patrick and Penny, both are Australian Shepherd. Thus, I put up a dog supplies store and called it 2 Red Dogs. I am saddened with what happened to Cosmo, anyway the important is they will always be remembered. Your blogs/article are interesting, informative. I am following and expecting to read more soon. Send my warm regards to Rocco.